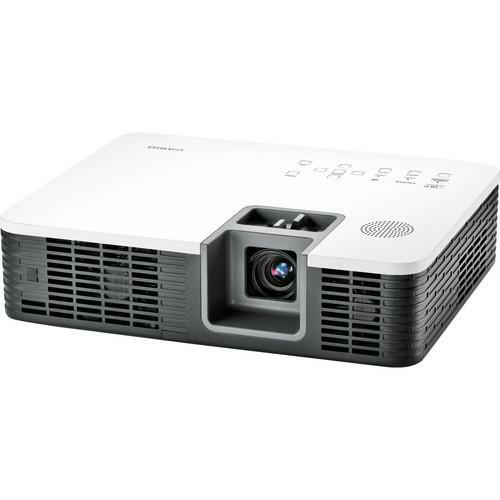 We recommend checking out our discussion threads on the Casio XJ-H1700 Pro Model DLP 3D Ready Projector XJ-H1700, which address similar problems with connecting and setting up Multimedia Projectors Casio. The user manual for the Casio XJ-H1700 Pro Model DLP 3D Ready Projector XJ-H1700 provides necessary instructions for the proper use of the product A/V Presentation - Projectors - Multimedia Projectors. The Casio XJ-H1700 Pro Model DLP 3D Ready Projector packs a great deal of desirable features into a small package that would be at home in the classroom, boardroom, media room or on the road. The XJ-H1700 features 4000 lumens and yields improved color performance with an emphasis on natural color by refining a waveform based on the lamp spectrum and color wheel characteristics. The Casio hybrid light source projector delivers a 50 percent increase in color spectrum for high impact presentations due to improvements in LED and laser technology. Superior color reproduction enhances color purity allowing visual effects to appear brighter and offering powerful images that conventional projectors cannot match. If you own a Casio multimedia projectors and have a user manual in electronic form, you can upload it to this website using the link on the right side of the screen. Box Dimensions (LxWxH) 22.5 x 19.2 x 10.0"
The user manual for the Casio XJ-H1700 Pro Model DLP 3D Ready Projector XJ-H1700 can be downloaded in .pdf format if it did not come with your new multimedia projectors, although the seller is required to supply one. It is also quite common that customers throw out the user manual with the box, or put the CD away somewhere and then can’t find it. That’s why we and other Casio users keep a unique electronic library for Casio multimedia projectorss, where you can use our link to download the user manual for the Casio XJ-H1700 Pro Model DLP 3D Ready Projector XJ-H1700. The user manual lists all of the functions of the Casio XJ-H1700 Pro Model DLP 3D Ready Projector XJ-H1700, all the basic and advanced features and tells you how to use the multimedia projectors. The manual also provides troubleshooting for common problems. Even greater detail is provided by the service manual, which is not typically shipped with the product, but which can often be downloaded from Casio service. If you want to help expand our database, you can upload a link to this website to download a user manual or service manual, ideally in .pdf format. These pages are created by you – users of the Casio XJ-H1700 Pro Model DLP 3D Ready Projector XJ-H1700. User manuals are also available on the Casio website under A/V Presentation - Projectors - Multimedia Projectors.